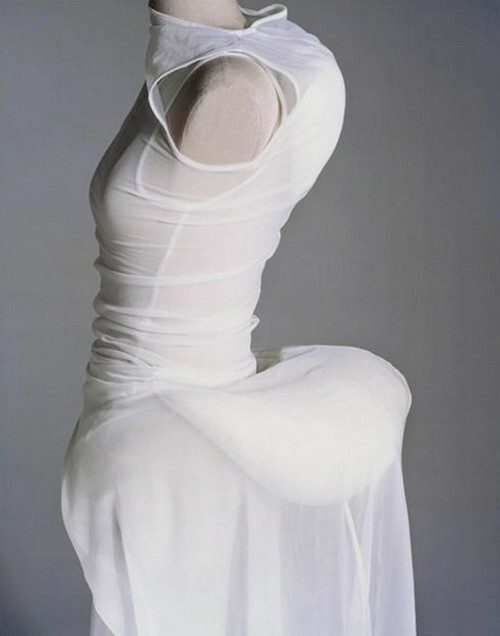 It sounds a bit scary, body manipulation in fashion, but this post is about changing the natural shapes of the body though a garment or undergarment, not changing the body itself. 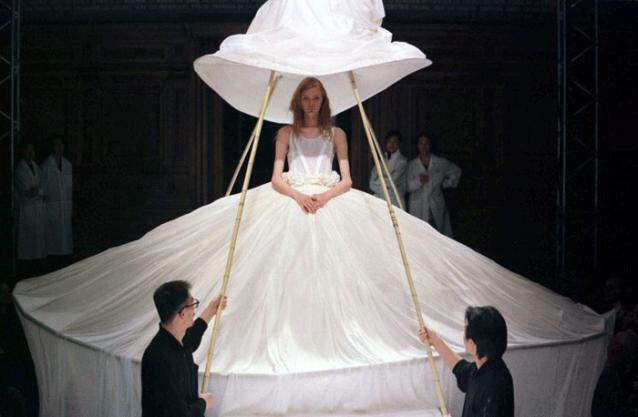 It’s about Crinolines, Yohji Yamamoto and Comme Des Garçons inspired by crinolines and the “Dress Meets Body, Body Meets Dress” collection by Comme Des Garçons. 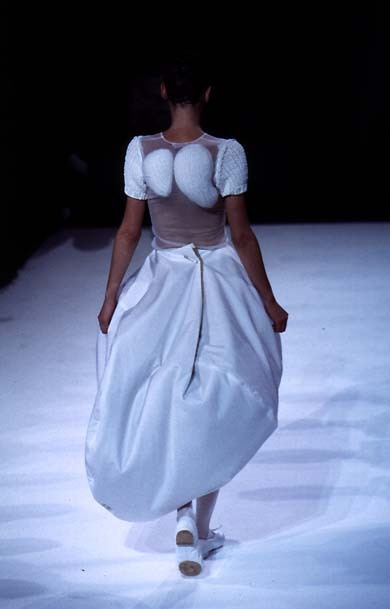 These, together with for instance corsets and shoulder pads, are samples of body modification in fashion. 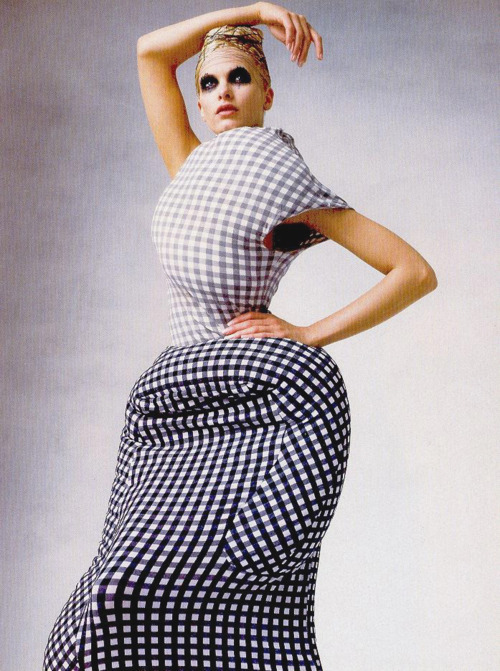 Women did suffer for the sake of fashion for many centuries and many do so today with high heels and plastic surgery. 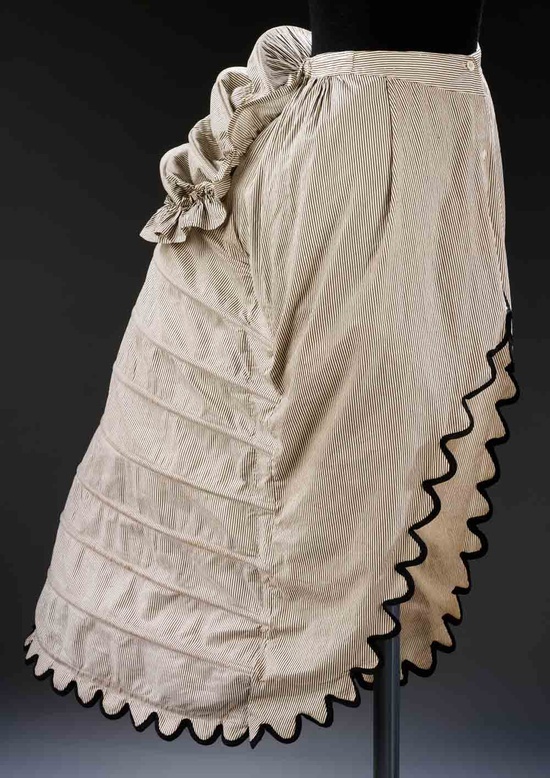 Ridiculously large crinolines, protruding bustles and heavily boned corsets often did restrict movement and the range of activities women could engage in. In 1837 Victoria ascended to the throne. The fashion press looked to this new young queen to endorse new fashions. Contrary to popular belief Victoria was, until Prince Albert’s death at least, interested in fashion. She was not a frivolous royal leader and her belief in simplicity and demure elegance is echoed by the fashion plates of the day. Gone were the flamboyant fashions of the mid-1830s with the huge balloon-like sleeves, large bonnets and trailing ribbons. 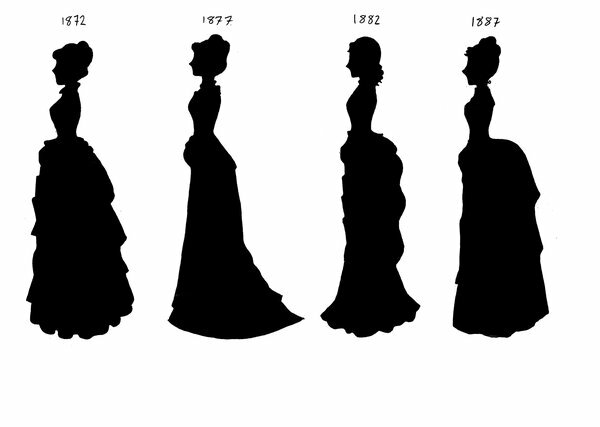 Dresses of the late 1830s and 1840s were characterised by drooping shoulders, long pointed angles and a low pinched-in waist. 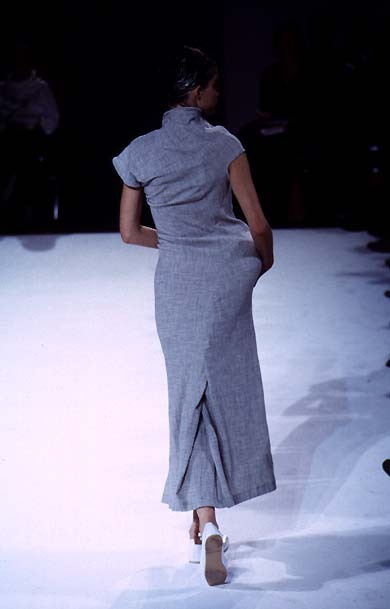 Then fashion changed and the skirts of the new dresses presented new problems. They increased in size and had to be supported by layers of heavy petticoats which were very hot and unhygienic – particularly in the summer. 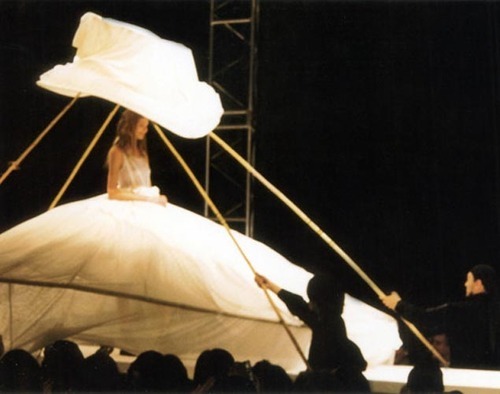 Bustle-like structures made of down-filled pads or whalebone and stiffened petticoats helped give added support. 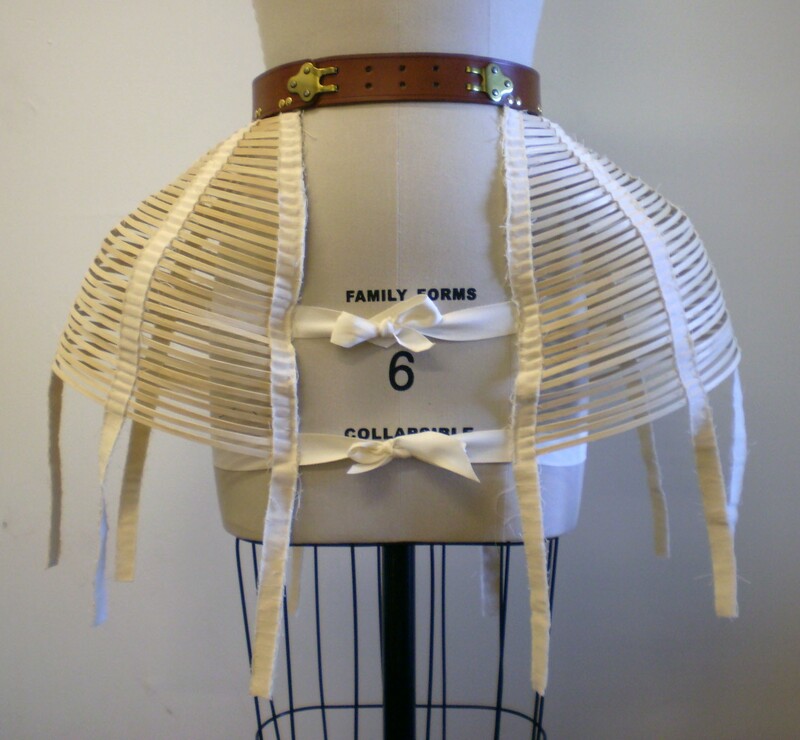 The most popular type of stiffened petticoat was made out of horsehair and linen which earned it the name crinoline (‘crin’ is the French for horsehair and ‘lin’ the linen thread it was woven with). The development of the sewing machine in the early 1850s was one of the most important innovations of the 19th century as it led to the mass production of clothes including underwear. Although many corsets and crinolines of the 1850s were still stitched by hand, the speed of sewing on a machine meant that manufacturers could produce in far greater numbers and increase the variety of designs. 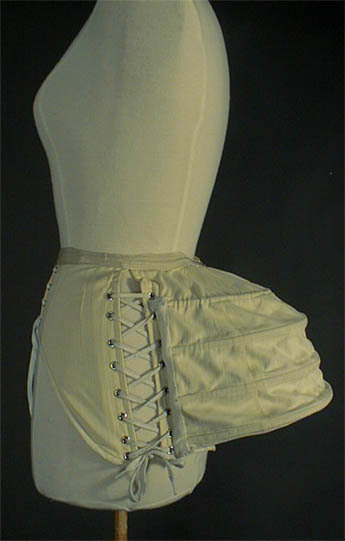 Corsetry and underwear manufacture therefore became a major industry with a turnover of millions of pounds per year. 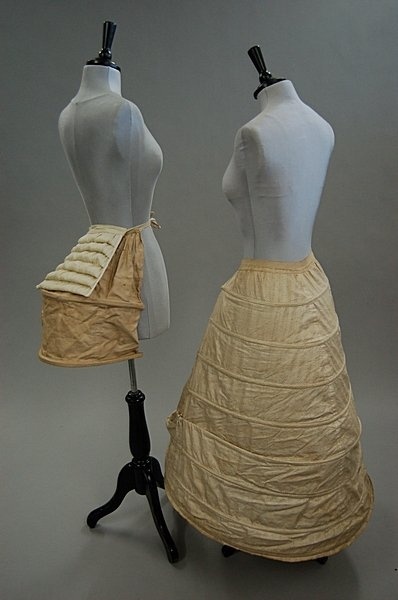 During the 1850s the skirts became the focus of attention. They grew ever wider and wider, and the flounces and light materials they were made of meant that they needed more and more support. Layers of petticoats including the horsehair crinolines were no longer sufficient, and they were very heavy and uncomfortable. Something more structured was required. 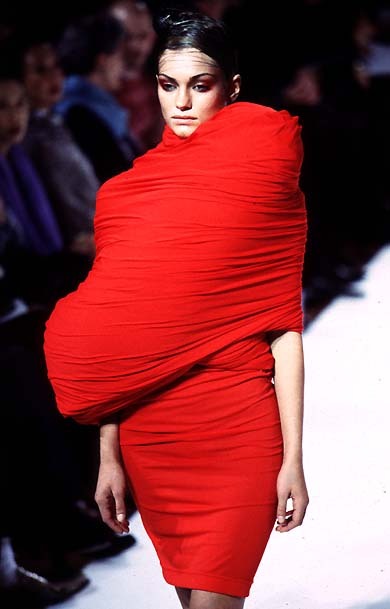 A patent was taken out in May 1856 for a garment inflated by means of bellows and deflated to enable the wearer to sit down. In 1858, the American W.S. 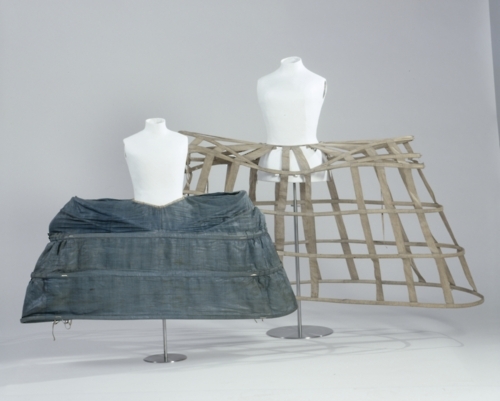 Thomson greatly facilitated the development of the cage crinoline by developing an eyelet fastener to connect the steel crinoline hoops with the vertical tapes descending from a band around the wearer’s waist. The cage crinoline was adopted with enthusiasm: the numerous petticoats, even the stiffened or hooped ones, were heavy, bulky and generally uncomfortable. 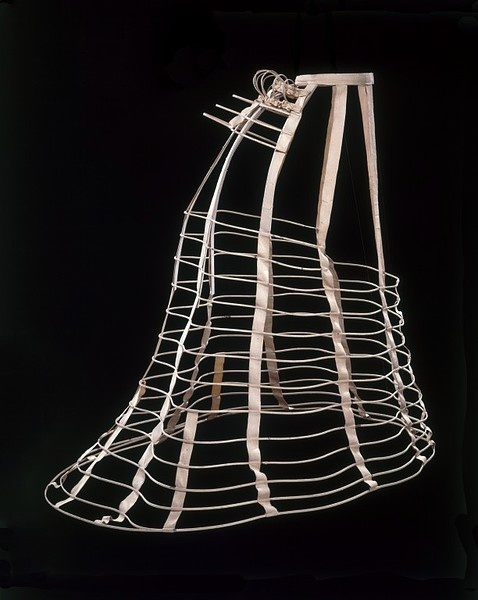 The cage crinoline was light — it only required one or two petticoats worn over the top to prevent the steel bands appearing as ridges in the skirt — and freed the wearer’s legs from tangling petticoats. 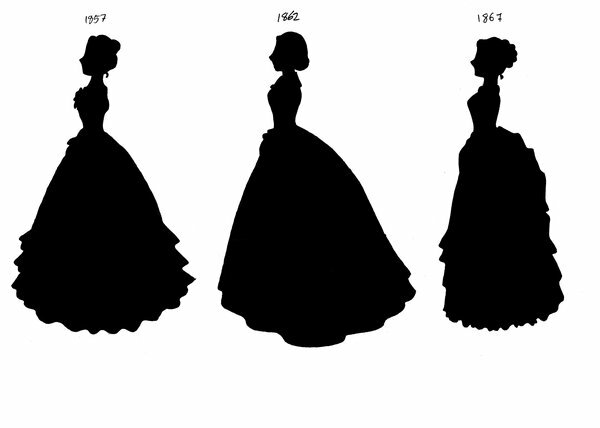 Unlike the farthingale and panniers, the crinoline was worn by women of every social class. The wider circulation of magazines and newspapers spread news of the new fashion, also fueling desire for it, and mass production made it affordable. It took several years for high society to accept the wearing of the cage crinoline as it started as — and remained in perception — a middle class affectation. 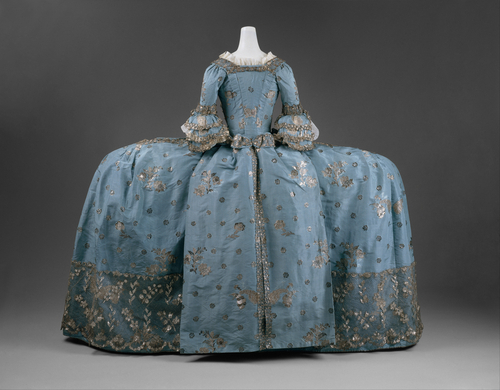 It not only freed women from the weight of massive numbers of petticoats, but also the expense of owning, washing, and starching such copious petticoats. 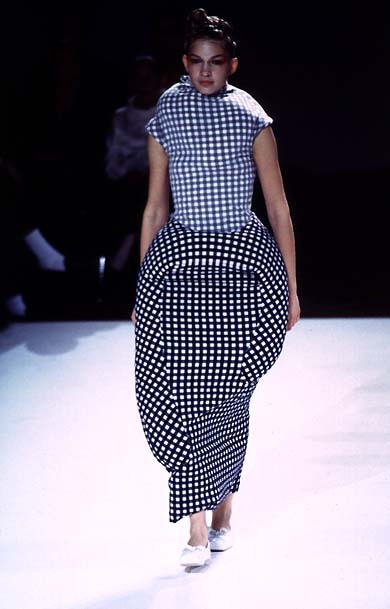 The wider skirts were now achievable by a greater number of less wealthy women. There were many tales of accidents that could befall wearers of crinolines, such as being caught in her hoops as she descended from a carriage or of causing damage if she were a factory girl or servant as china, glass and other delicate materials could easily be swept off shelves and tables. 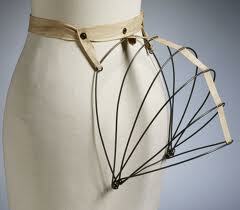 In 1860 the textile firm Courtaulds instructed its workers ‘to leave Hoop and Crinoline at Home’. 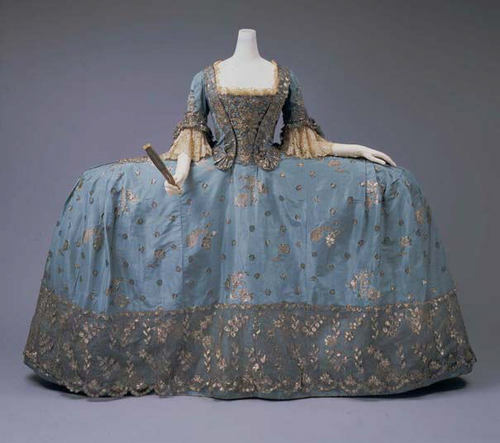 The most frequent, and terrible, accidents were caused by sparks from open fires, a situation not helped by the wearing of highly flammable fabrics such as muslin and silks. Some husbands were even advised to insure their wives at Fire Insurance offices. It’s easy to imagine how women could stray too near an open fire in their large crinolines. The stories about ladies not being able to fit into carriages or through narrow doorways are exaggerated. 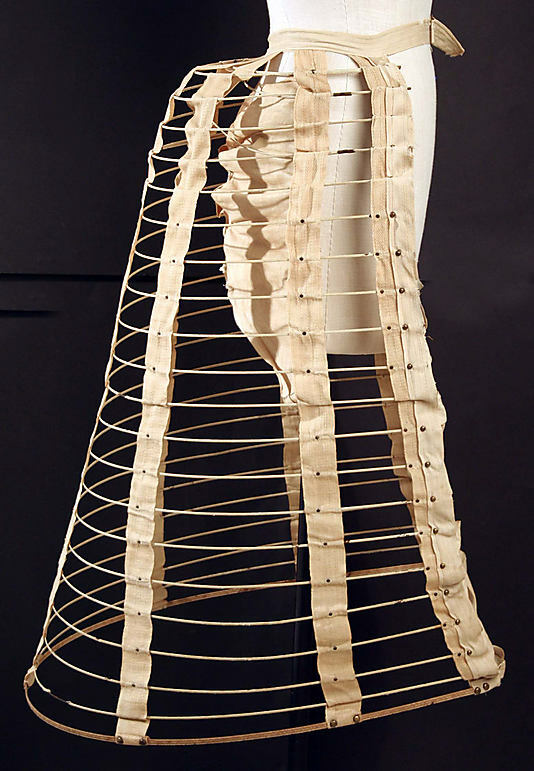 The cage crinolines might look very rigid but spring steel is in fact incredibly flexible and could be compressed. Accidents did happen but women would learn how to walk in crinolines and how to sit down so that they did not reveal all their underclothes. The spring steel structures were very light so rather than imprisoning women in cages (as some of the reports and images suggest) they had a liberating effect. 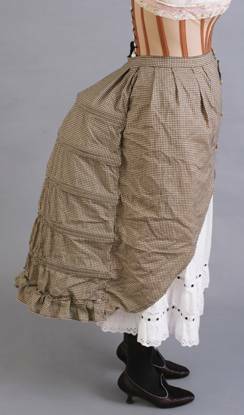 They freed women from the layers and layers of heavy petticoats and were much more hygienic and comfortable. The crinoline had grown to its maximum dimensions by 1860. 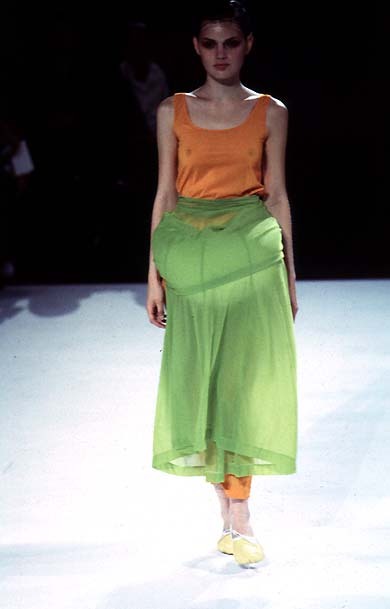 However, as the fashionable silhouette never remains the same for long, the huge skirts began to fall from favour. 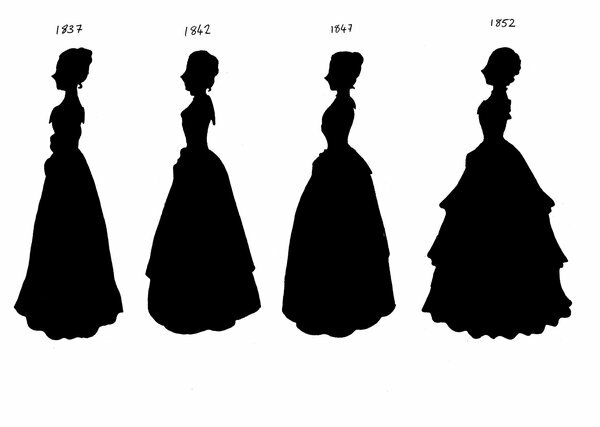 Around 1864, the shape of the crinoline began to change. 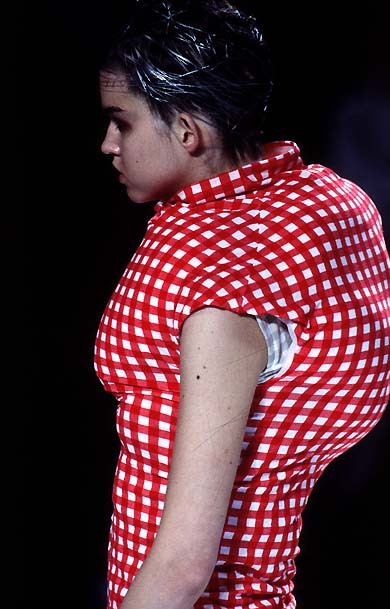 Rather than being dome-shaped, the front and sides began to contract, leaving volume only at the back. 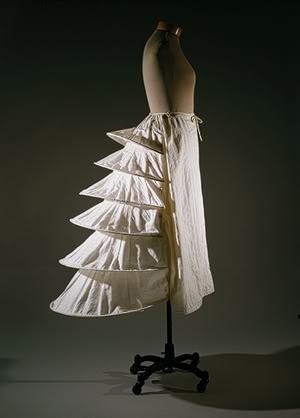 The kind of crinoline that supported this style was sometimes known as a crinolette. The cage structure was still attached around the waist and extended down to the ground, but only extended down the back of the wearer’s legs. The crinolette itself was quickly superseded by the bustle, which was sufficient for supporting the drapery and train at the back of the skirt. 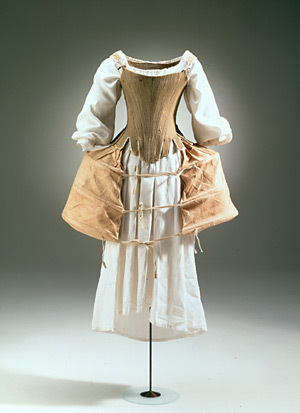 Crinolines are still worn today. They are usually part of a formal outfit, such as an evening gown or a wedding dress. 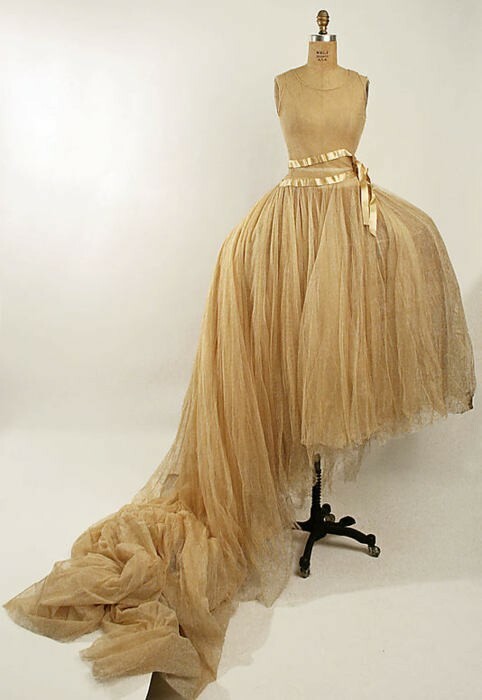 The volume of the skirt is not as great as during the Victorian era (except for ‘Big Fat Gipsy Weddings’), so modern crinolines are most often constructed of several layers of stiff net, with flounces to extend the skirt. If there is a hoop in the crinoline, it will probably be made of plastic or nylon, which are low in cost, lightweight and flexible, or steel. was inspired by an old picture of a woman being dressed and wearing a ridiculously large crinoline. 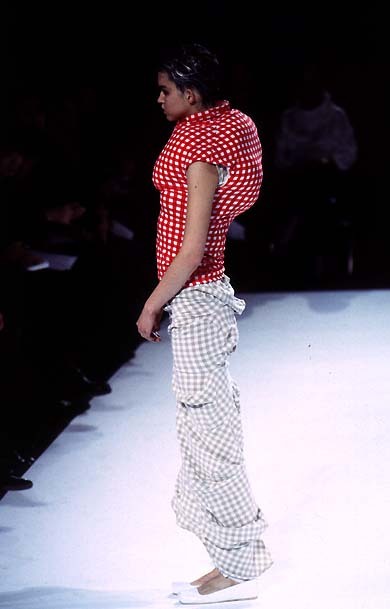 The s/s 1997 collection by Comme Des Garçons, often referred to the ‘lumps and bumps’ collection, was a much talked about show in Paris that season. 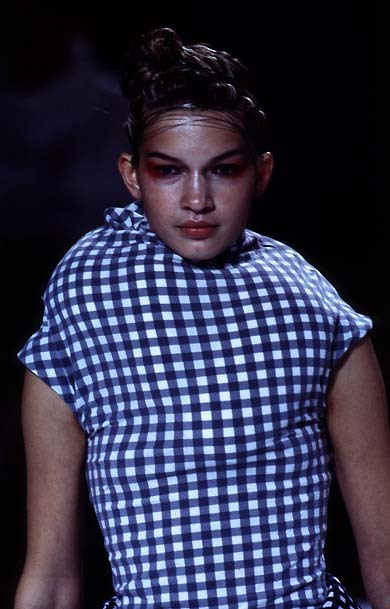 It featured predominately tight tops and skirts that were swollen by goosedown-filled lumps which distorted the body shape. I really love this. 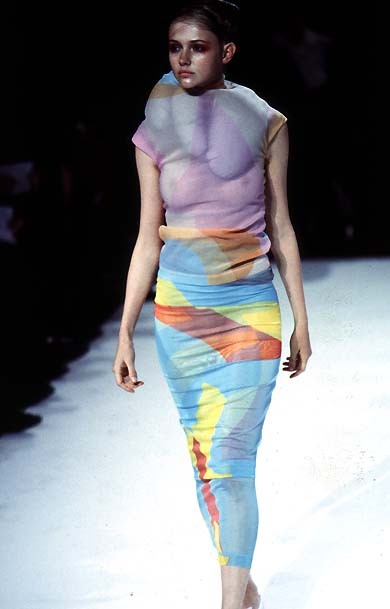 🙂 Question– do you know who owns the rights to these runway images of the CdG SS ’97 collection? I’m trying to figure out how I go about obtaining permissions of copyright and use for a publishing project. Thanks so much! Hello, I tried to find out who the photographer is/own the rights to these imagas, but I haven’t been able to get the answer, sorry. 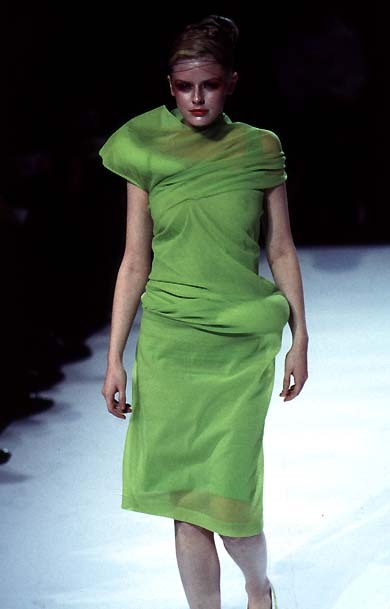 Maybe you can contact Style.com or email Comme Des Garçons Paris or Tokyo? Ah, thanks so much! Will do. Where did you obtain the image of the crinoline shop at the top of the webpage and was there a photographer and date listed? I am interested as I have seen this image wrongly attributed and dated as 1880 in various places on the Internet . This seems incorrect as the women are wearing the wide skirts and dropped shouldered dresses of the 1850s or early 1860s. 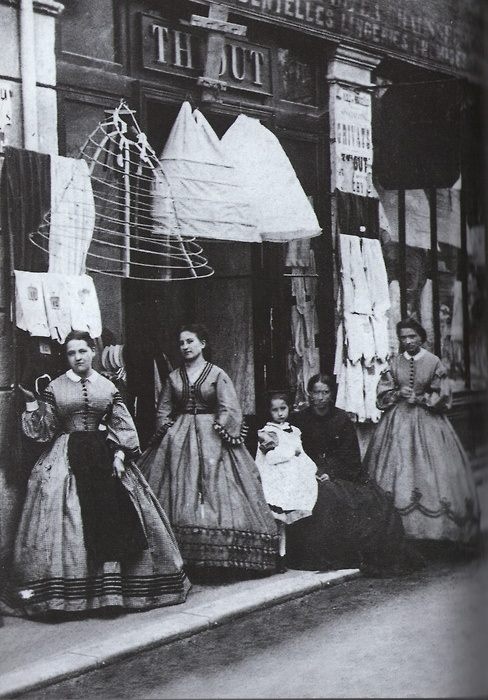 I don’t know the date and the photographer of the crinoline shop, sorry….